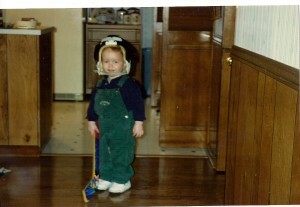 I should have known what I was in for when his first word was “hockey”. ..but he couldn’t do it. It was non-stop hockey for Jake. And heaven forbid if we’d forget to bring his Fisher Price hockey net and sticks to Grandma & Grandpa’s. It was hockey in the morning. Hockey in the evening. Hockey every minute of the day. 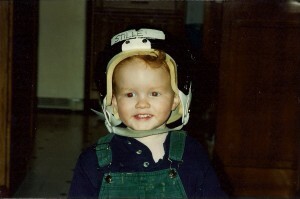 Thankfully I slowly adapted to Jake’s insatiable love for hockey. The loooong hockey seasons. The hours and hours in a freezing cold rink, the horrible anxiety of being the goalie mom and yes, even that dreadful hockey smell. 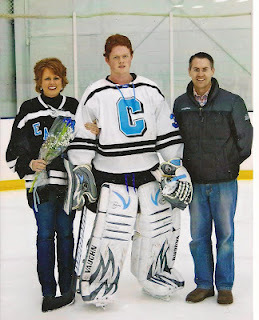 Hockey grew on me – and I before I knew it, I loved being a hockey mom! You’ve seen how excited I get cheering on my guy (video recap here), listened to the lessons I’ve learned at the rink, and who can forget last year when I prayerfully decided I wouldn’t let Jake play on a travel team his senior year of high school (when he told me I was “crushing his dreams“?). Throughout it all I’ve been praying for God’s best for Jake. Asking God to make his path clear. Open doors as only He can, close doors that aren’t from Him, and direct a path that most importantly would draw Jake closer to Him. The past few months have been filled with tryouts, trips to Canda, late nights on the ice (who starts hockey practice at 11 PM?! 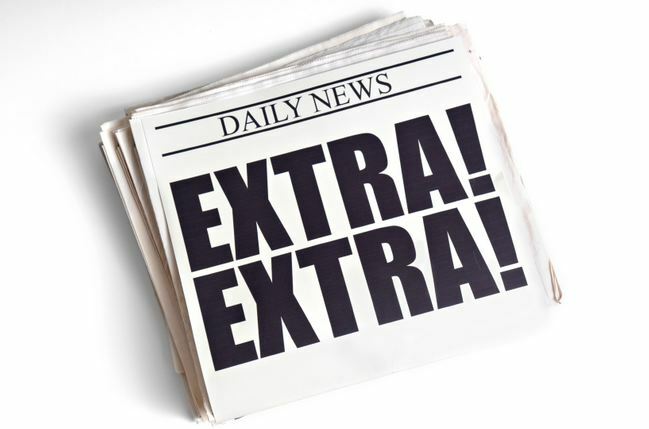 ), applications, and yes, lots and lots of hockey and tons more prayer. 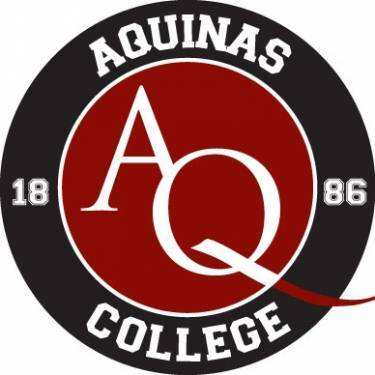 Jake will be attending Aquinas College, a private Catholic college here in Grand Rapids, MIchigan! 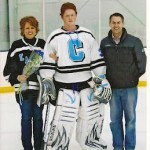 Jake’s received a 4 year scholarship to be the starting goalie for their hockey team! Can I get a “woo hoo”?! West Michigan friends, want to check out some exciting hockey this fall? The Aquinas hockey team’s schedule is listed here. (Personally I’m super excited for the games against my alma mater Michigan State University – what fun!). Yippee! Mostly I’m so thankful to God for answering this mama’s prayers! Yay God! There were many days when I didn’t know if Jake would be traveling through Canada, boarding out East, playing locally or giving up on his dreams. I did know if that we kept praying and listening and following God’s lead – He would make Jake’s path clear. Friends, are you faced with an important decision? Need clear guidance? Desperate for His lead? But when men pray, God works! May God infuse you, my friends, with His peace, hope, joy and a fresh measure of faith as you seek HIM every step of the way! Thanks for stopping by *She Sparkles*! P.S. To the other goalie mom’s out there – I recently came across this poem and can totally relate. You too?? Although you may not know her name. Who get so excited and yell so loud. It’s the goalie who always makes the mistake. They have nothing but praise and good things to say. And cautiously listens to hear a loud roar. She then knows that one team have now made a score. Her heart in her throat, she peeks at the fans. They are joyful, screaming and clapping their hands. So for now there won’t be any criticizing her son. She says a quiet “Thank you God” as she starts to the door. Times when the goalie doesn’t come through. For the player with the almost impossible task. Oh, how she loves that child from behind the mask. 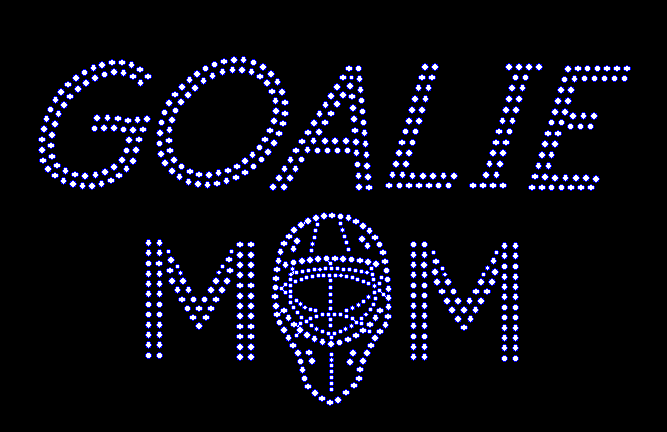 ‘Cause she’s a special breed, she’s the goalie’s mother. congrats! and he will be nearby for college!!!!!! AWESOME!!! A 4-yr. scholarship & he’ll be near home!!! We serve an awesome GOD!!! So happy for all of you! CONGRATULATIONS TO YOUR JAKE and really your whole family! Everyone in your family must have had to sacrifice on some level to get him there! God’s perfect plan always WINS! and this sounds like a win win for everyone! Uncle Kevin too, must be excited they will be going to the same school…cool! I am soo happy for you guys! Hugh Major Answer to Prayer Praise God and The Blessing Jake and His Loving, God Trusting Family have Heard and Recieved in Asking the Lord to Show you the Way and Truly Listening to His Answers. Giving it to God and Actually Letting Him Show You What Wonders Her Can Do For Those Who Believe and Ask In His Name. Amen and Praise You Heavenly Father Lord Jesus for the Past, Present and Future of the Young Mans Life. Amen. Wonderful news ya Cindy how exciting , you have 4years ahead of you rejoicing some,wiping away a tear some but all through celebrating God’s goodness. Ahhhhh! Cheering for you and Jake! Big deal, very big deal! Great news and BONUS he received a full ride to a LOCAL college! ohhh my heart just did flip flops at the dream crushing tale. (i am fairly new to your blog) i heard similar words when my son decided he wanted to defend our nation as our ancestors have always done. pride and dread in an instant. Great news, Cindy! And I’m sure you are thankful he will be close to home! Woo Hoo, congrats to Jake.